The demand for single family homes among young growing families are on the rise. Some are blaming the shortage of homes for sale on baby boomers. The Washington Post in a recent article that boomers are clogging up the Real Estate pipeline because they are not downsizing at the rate of past years . Studies by economists, surveys and reports stating that boomers are staying in the family home longer than past years. The kids are gone and usually the empty nesters sell the large home and rent or purchase a smaller home as they prepare for retirement, thus providing the young families to move up to a home with more space. Since the boomers are staying in the family home longer than years past reports like the one on Realtor.com suggests that this new trend is clogging up the real estate pipeline and creating lower supply and a higher demand which creates higher prices and less obtainable for the growing young families. Supplies of the single family home created by new construction will increase in 2016 thus de-clogging the real estate pipeline which is good for the buyer since supply will be greater. If someone is thinking about downsizing they should move forward and sell the large home while the demand is great because once the shift occurs then prices may decline. Don’t forget interest rates are projected to rise in 2016, which hinders buyers. 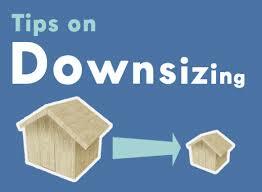 Take advantage of lower rates on the smaller home. There are a lot of empty nesters in the area contemplating and worrying about right-sizing their household.